I have been using various versions of Microsoft education solutions since 2007. I am also quiet adept at developing online Sharepoint solutions for business processes, writing custom scripts to make accessing Microsoft resources easier, and by-passing much of the fake resources and security Microsoft has to offer. In addition, I have been using Google Apps since they were first introduced, mostly because I needed to work and the Microsoft made it difficult to do anything aside from typing a memo 1990’s style. My Google experience extends to setting-up Google Apps for education on three occasions, writing custom app functions, working with multiple domain configurations, and even developing a bulk upload/download process to Google Drive. I am working in China now, and the school does not have a campus wide VPN. Therefore our only affordable cloud solution is Office 365. Our current implementation has gained praise from the corporate giant itself, and soon I can share an article by Microsoft about what we have been doing and how we have been doing it. However, the fact is Office 365 still has a very long way to go. If I had the option, I would still choose Google, and I would push hard for Chrome books for the younger students. Microsoft still is lacking in developing mature products that are truly online. They have new licensing, which is a huge step forward, but they are limiting the options to certain regions. This can be seen in the USA where students can easily get desktop software for free, but in China we have to make special arrangements to get these same features. For those schools or districts who feel that you have some magic plan with Microsoft, believe me you do not. Anyone can access deals with enough users, and desktop software in 2015 should not be a motivating force for increasing student resources. OneDrive for Business is better than it was last year, but still years behind Google Drive. It is very fast, and my tests have shown it to be faster than Dropbox or Google Drive. However, the desktop clients which are needed to do bulk work are rough around the edges. They do work, and on Mac OS X now as well, but if you are a Google Drive user you always feel like you are in someone’s beta test instead of a finished product. The mobile Office 365 clients are pretty good. One shining example is OneNote. I really like OneNote, and I am starting to prefer it to Evernote. This is going to be a new key application we use with students in the next semester. It works great, and on iPad has some nice features for handwriting. What is funny is that OneNote is more flexible than Word and has features you would expect in a truly collaborative environment, yet, many decision makers are obsessed with giving everyone Word. I guess they love the useful WordArt and ClipArt. The most powerful product in Office 365 for Education is Sharepoint. I find most schools barely or rarely use it. The fact is that it is more powerful than any Google Apps for Education resource. I would wager that you would need to buy many additional Google Apps features to match even 50% of the Sharepoint features. Unfortunately, non-developers and those who see the bare-bones implementation of Sharepoint, hate it. It looks bad and has an old design. The mobile compatibility is bad. The logic for linking things around is weird and does not seem to work well. The menus don’t make sense. The terminology of what a “thing” is does not make sense. It only works well in Windows. There seem to be features I cannot access. There is no public page for people who are not part of the organisation. It is seems like a pure business product. Out of the box, all of these things are true, yet, they are also not true. Sharepoint is designed to be developed, not started and driven around like a golf cart. It is a set of tools that require a development environment and an implementation plan. Sharepoint is not something you use by random clicking, which is how many people seem to do things. It requires intent and purpose to be useful. From it’s core it is based-on your organisational needs, and not the needs of the outside world. The apps you can add to Sharepoint are not for entertainment. They are for getting work done and creating levels of accountability. I have a love hate relationship with Sharepoint. When I finally deploy something, I find it works well and requires very little maintenance. While creating solutions in Sharepoint Developer, I find myself constantly frustrated at some of the features that a normal development kit would have sorted out properly. 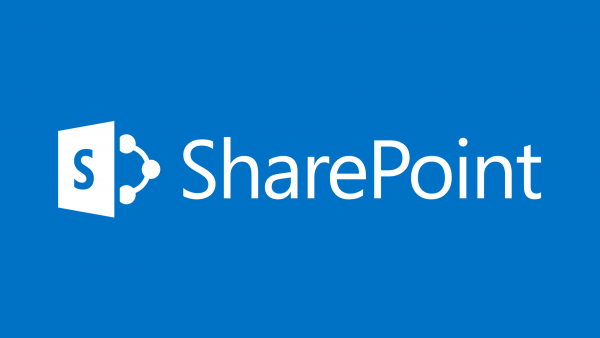 People who end-up being Sharepoint power-users tend to like it. They learn to access and use data in different ways, and automate processes that are quiet difficult to manage on paper or even with sophisticated online forms. If integrated properly into a normal content management system (Drupal, WordPress, etc. ), Sharepoint solutions work well for normal end-users, and the security is handled without any additional work. But, it needs to be integrated, you do not want the average person to ever navigate Sharepoint. Sharepoint has an up-sell for storage space which is annoying. OneDrive has a terabyte of space per user, but it is missing many features (unless you can find the secret menus). If Sharepoint had 100GB of space allotted per organisational user license, then it would actually be a better solution than OneDrive for most people, especially if the storage was flexible and assignable. iMac or large screen Apple Laptop with Virtualbox/VMware Fusion and a licensed 64 Bit version of Windows 7. A minimum 8 GB of RAM with 4 GB assigned to the virtual machine. Office installed from the Office 365 online store. This allows all users to install Office on 5 devices. IE 11 or higher in the Windows 7 Environment. Notepad ++ for the Windows 7 Environment. Turn off all Windows security, and firewalls. Install Sharepoint Designer from the Office 365 online store. Backup the virtual machine to a secure area on the Mac or on an external drive. If Windows gets infected or too slow, trash the virtual machine and use the copy you have made. This entry was posted in Educational Technology, programming and tagged cloud, google, Microsoft, Sharepoint. Bookmark the permalink.